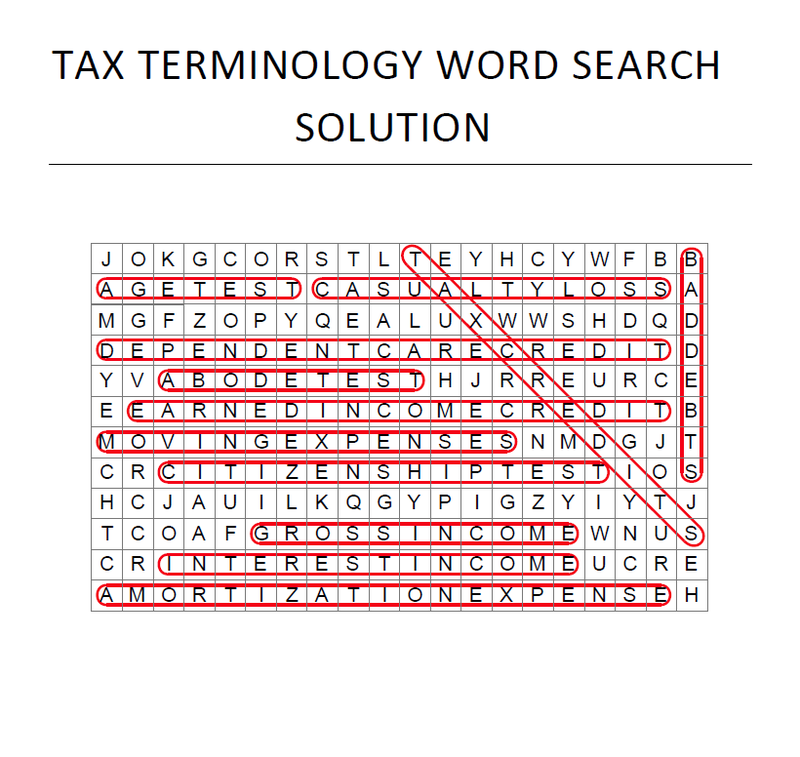 Tax Terminology Word Search – Lambers, Inc.
Find the hidden words. The words have been placed horizontally, vertically,or diagonally. These generally reduce the amount of tax shown on the return. A qualifying child must live with the taxpayer for more than one-half of the year. This credit applies to those taxpayers who pay for dependent or child care in order for them to work. 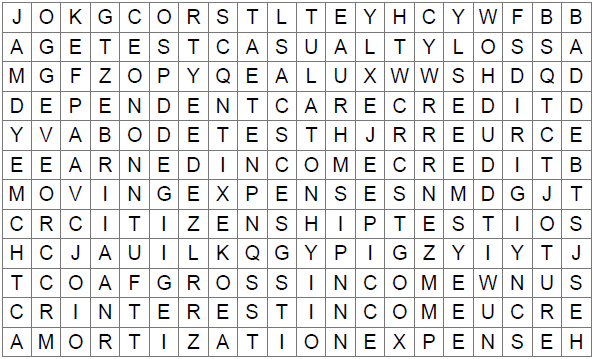 Generally included as gross income _________ is reported on Schedule B. This credit provides qualifying taxpayers with relatively low levels of income a credit against their tax liability. All income, from whatever source derived. Is allowed for the qualified costs of moving in connection with starting work at a new place of business. The cost of recovering intangible assets such as leasehold improvements and other Section 197 intangibles. A _____ ____ is sudden and unexpected,and may include a theft loss as well. A qualifying child must be under the age of 19, or if they are a full-time student, underthe age of 24. When a taxpayer extends credit to another taxpayer in the form of a loan, and then the loan becomes uncollectible. The dependent must be a citizen or resident of the United States, or resident of Canada or Mexico.